Knowledgebase Articles and information about running a website, cPanel and various hints and tips. Here you will find tutorials on php, MySql, .htaccess, cron, SEO, Search Engines, CHMOD, FTP, CSS, HTML and various other hints and tips on running and Administrating a website. No doubt you have found the GUFO 72 Inch Toolbox Workbench on Ebay, probably with a sale and just like me you are wondering if this product is the best thing since sliced bread or the biggest pile of scrap metal this side of China. I couldn't find any real third party reviews of this workbench/toolbox, and on paper it looks like the Maxim. But what appealed to me was the GUFO had a fixed bench and 2 roller 28 inch cabinets, this means i could drag the cabinets around the shed to where i was working plus the 2 cabinets have a timer top giving 2 small additional work benches. Maxim didnt have any of these in stock unless you also purchased the kit containing the upright locker style cabinet on the end of the bench which upped the price to $1,399. The GUFO i could get for $709.60 with $120 postage during an Ebay 20% sale. After analysing pictures and specs of both the Maxim and GUFO, the only real difference i could see in size, weight etc was the wheels were wider on the Maxim but everything else looked the same. So i placed the order for the GUFO from Ebay seller ibasetradingptyltd and hoped for the best. Less than a week later the courier rocked up with 8 boxes containing 150kg of fun. All boxes are labelled and shows which is the Bench (3 Boxes), the 2 Door Roller Cabinet (2 boxes), 4 Draw Roller Cabinet (2 boxes) and the Peg Board (1 Box). The Peg Board got lost in translation and is labelled Pet Board on the box, don't go nailing your cat to it lol. Cracking open the boxes, everything is packed extremely well. All the panels and parts were packed in their own individual plastic bags, and there was foam in between everything. I was actually really impressed with the packing, i wasn't expecting it to be packed nearly as well as it was. All parts were straight, and completely damage free. In fact I should of bought shares in a foam, plastic and cardboard company because there's tons of the stuff. Digging deeper, every single part is numbered so there's numbers on each panel, there's numbers on each of the screw bags, the wheels, the bumpers, doors etc. And some parts have arrows showing which way they go, and there's 3 instruction books one for the bench and one for each of the roller cabinets. We have all come across some bad instructions in our time, like some sort of Chinese hieroglyphics... but thankfully that wasn't the case here, these instructions were extremely well done and high quality, they were even in spiral bound folders. There was no issue following them, i setup the bench first so i had something to work on when doing the roller cabinets. It was only several parts and went together easily. The 4 draw cabinet went together smoothly until the draws fronts where i hit a small snag. The chrome draw fronts have half a dozen holes which slot on to rivnuts which are fixed to the ends of the draw sides and bottom. The holes in the chrome draw front were about 1mm smaller than the rivnuts, so i had to drill out and enlarge the holes on each drawer front. When tightening the rivnuts, i also took the liberty of drilling an extra 2 holes in each draw front and fixing it with a pop rivet for additional strength. 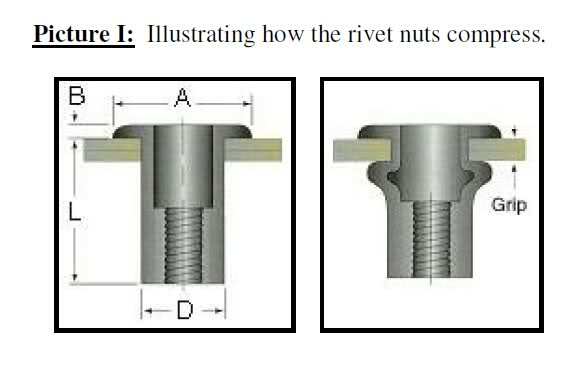 Pop rivets make a more secure connection then these rivnuts which dont bulge enough to form a highly strength connection. Ill try and get a picture of what i mean and add it here. But with that done, the draws fitted in to the cabinet like a glove and the draws roller system is good and quite sturdy. It will hold a bit of weight, they say the draws runners hold 31kg per draw and i don't doubt that it seems sturdy enough to support that rating. Oh, and the Peg Board which i have not setup yet is designed to mount to a wall behind the work bench it's not actually designed to be mounted to the bench itself. But I'm going to mount it to the bench, and will run a horizontal wooden batten across the back of the bench just under the wooden bench top. Then attach some vertical battens to this and finally mount the 3 peg boards to the wooden battens. Tada, that's it in it's final resting position minus the peg board. Update, i mounted the pegboard. The wooden bench top overhangs the rear legs by 19mm so i got a piece of hardwood from Bunnings 1.8m long x 19mm x 90mm and bolted it to the rear legs using the 2 existing holes on the legs, and mounted 4 30mm x 30mm x 1 meter length of aluminum angle to my hardwood baton then bolted the peg board to the 4 aluminum angle pieces. It's super strong. Oh and i mounted up a ToolPro engineer style vise from SuperCheap for $110, and i'm extremely happy with the whole setup. The workbech is just the right height and size, the frame is very sturdy and that huge hunk of wood for the top is about 20kg on it's own and makes a great solid surface to work off. It almost looks too pretty to work off... almost, so i've bought a sheet of rubber from Bunnings about 4mm thick to line the bench top. The 2 roller cabinets are also fantastic, i can have them loaded with tools and just roll the cabinet to wherever in the shed I'm working, and have a small 28 inch workbench right on top of the smaller cabinet. So on a final note, I'm EXTREMELY HAPPY with ye ole GUFO 72 Inch Work Bench Toolbox combo and i would buy it again without hesitation. The quality is much better then i expected and while i've never seen the Maxim HD units i believe the GUFO is exactly the same just with different branding and smaller diameter castor wheels. The GUFO even had the EVA foam draw and cupboard mats included which i thought i would need to buy as they were not mentioned. For a home hack like me who services his 4WD, Car, Boat, Ride-on, Chainsaw etc this bench is fantastic and will no doubt outlast me. There you have it folks, weather you go for the GUFO, the Maxim, the one at Bunnings or some other unit i hope this have given some more info on the GUFO to help you make a decision on what's best for you and your wallet. Forum time zone is GMT. Currently it's 12:43 AM.